December borrowing was up 49% on the previous year according to industry figures, with demand for fixed rate mortgages especially prevalent. The surge in new mortgage lending was experienced by bands and building societies alike, with an estimated £17 billion lent during the last month. According to the Council of Mortgage Lenders, gross lending in Q4 was £52bn, an increase of 38% on a year before and up 5% on Q3. The second phase of the government’s Help to Buy scheme has boosted demand as the market is suddenly open to people with lower deposits as a result. 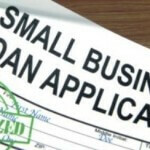 That has led to a dramatic increase in consumer confidence and a greater level of lending has occurred as a result. With the economy also showing signs of recovery, the outlook for the foreseeable future is also a lot more positive than in the recent past. More competitive mortgage deals and an improving jobs market further boosted the levels of lending seen in the run up to the New Year. The figures for December were the highest for that calendar month since 2007, while the estimated lending figure of £176.7bn was the highest level since 2008. 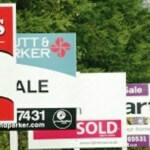 House prices rose considerably last year, with some banks and building societies suggesting increases of between 7.5% and 8.4%, depending on which estimates are used. Despite the confidence in the latest set of figures, they are still some way below the record lending figure of £362bn that was seen in 2007. Meanwhile, the Bank of England’s Trends in Lending Survey suggested mortgage approvals reached a 70-month high of 70,758 in November, up 33% from the previous year. This was roughly 2,700 more than in October, while it was considerably higher than a low of slightly more than 52,000, seen in February 2013. 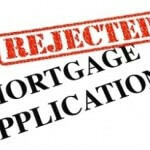 The strengthening of mortgage lending and approvals is great news for those looking to get onto the housing ladder. However, this can only be achieved with careful financial management, which is where using a prepaid card can come in handy. They allow for a set amount of spending at any one time – dependent on the funds on the card – while there is additional security that protects against potential fraud. When trying to budget to afford a deposit, every little piece of finance that can be saved can be added to the fund, making a prepaid card a good way to manage finances effectively. 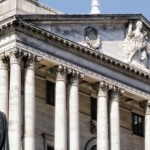 At the same time, the recovering economy could see a change in the UK Bank Rate for the first time in nearly five years, although any change is most likely in 2015. With unemployment figures constantly improving, rates on new mortgage deals could start to increase, although only time will tell. The recent actions by the Bank of England, to switch the Funding for Lending scheme to focus solely on businesses rather than mortgages as well, could also have a significant impact. As a result, demand for longer fixed rate mortgages is becoming more prevalent as people want the additional security that such a measure brings to the table.